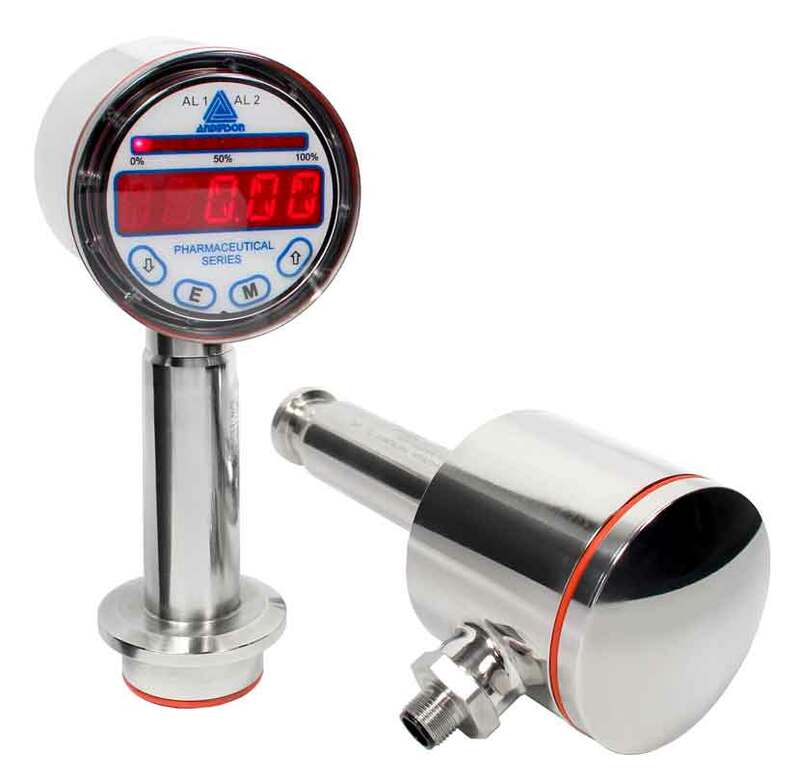 The Anderson RSV Life Sciences Series Pressure Transmitter may be ordered with built-in LCD indication. The unit meets all life sciences requirements for performance, finish and cleanability. It is designed and manufactured to withstand the harsh process and sterilization conditions encountered in the life sciences and biotechnology industries. Its one-piece stainless steel package design incorporates a transducer and electronic circuitry to convert pressure and/or vacuum to a proportional 4-20 mA signal. The wide variety of fittings and ranges provide flexibility in specifying the best transmitter for any application. The unit is designed to operate at high process temperatures and withstand CIP/ SIP conditions. All units are supplied factory calibrated to standard or custom ranges. For field maintenance, non-interactive zero, and span adjustments, as well as field accessible test points are provided. The optional LCD cap mounted display can be scaled to match actual process units, 0-100% of full scale, or 4-20 mA. This useful feature provides indication directly at the process, in addition to the standard 4-20 mA output.